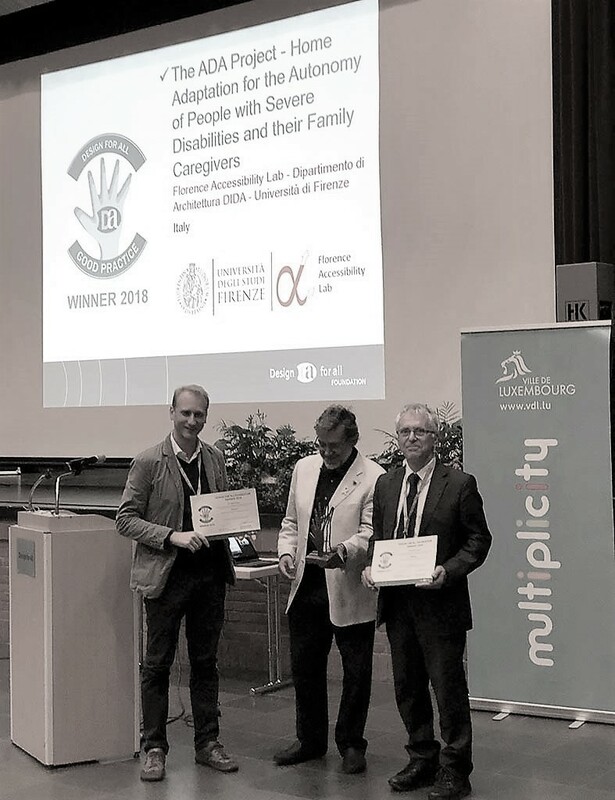 The “ADA Project” (Adattamento Domestico per l’Autonomia personale - Housing Adaptations for Personal Autonomy) ̶ developed by the Florence Accessibility Lab Interdepartmental Research Unit of the University of Florence ̶ won the International Design for All Foundation Award 2018. According to the international jury of the 9th edition of the Award (see, http://designforall.org/jury.php ), the ADA Project fully meets the following five assessment criteria: (1) Relevance of the project, (2) Excellence in the methodology, (3) Respect of the Design for all principles, (4) Impact (Potential benefit that the project or initiative contributes to society), and (5) Degree of innovation. The ADA Project is an intervention research promoted and funded by the Tuscan Region (Department of Health, Welfare and Social-Health Integration and Sport) aimed at people with severe disabilities and their caregivers in their home environment. It is aimed at increasing autonomy at home through adaptations regarding the spaces of the house, its furnishing, equipment and technological installations. It is divided into three Implementation phases: (1) the Survey undertaken at the dwelling of the disabled person, in order to reveal their needs and wishes, (2) the Technical consultation, for suggesting to the disabled persons and their relatives an intervention framework concerning the adaptation of the house, and (3) the Evaluation of the cases, in order to determine and assign the regional grants for disabled persons who have the right to them. The methodological design of the ADA Project envisages a Preparatory phase before the implementation phases, and an Ex-post evaluation phase downstream of the implementation phases. The ADA Project can be interpreted as a “public good” that aspires to increase the social well-being of communities thanks to the cultural processes it activates and to its social and educational content. Its impact can be understood by considering that, in addition to 362 disabled persons and their families, it involved over 100 people – among medical doctors, social workers, architects, sociologists, rehabilitators, experts in assistive and home automation technologies and administrative personnel – and three entities: the Tuscan Region, the University of Florence and the National Research Council (CNR) in Pisa. 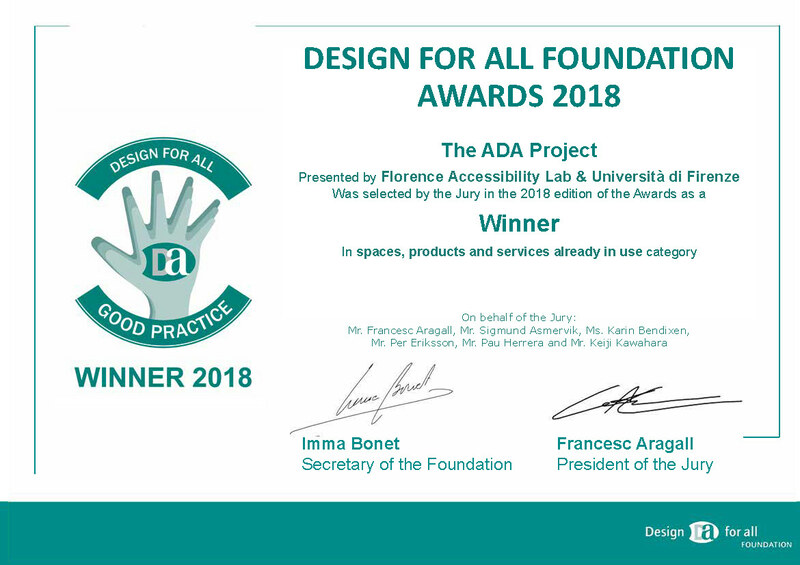 The methodological design and operative tools of the ADA Project were conceived and progressively perfected by the Florence Accessibility Lab Interdepartmental Research Unit of the University of Florence. The research team is composed of Antonio Laurìa (Department of Architecture, principal investigator), Beatrice Benesperi, Paolo Costa, Fabio Valli, and Junik Balisha (collaborator). The main scientific result of the ADA project is the ADA Assessment Model (ADAAM), a multidisciplinary tool to evaluate the autonomy at home of disabled persons. An English edition of the book on the ADA Project will be published shortly: Laurìa, A., Benesperi, B., Costa, P. & Valli, F. Designing the Autonomy at Home. 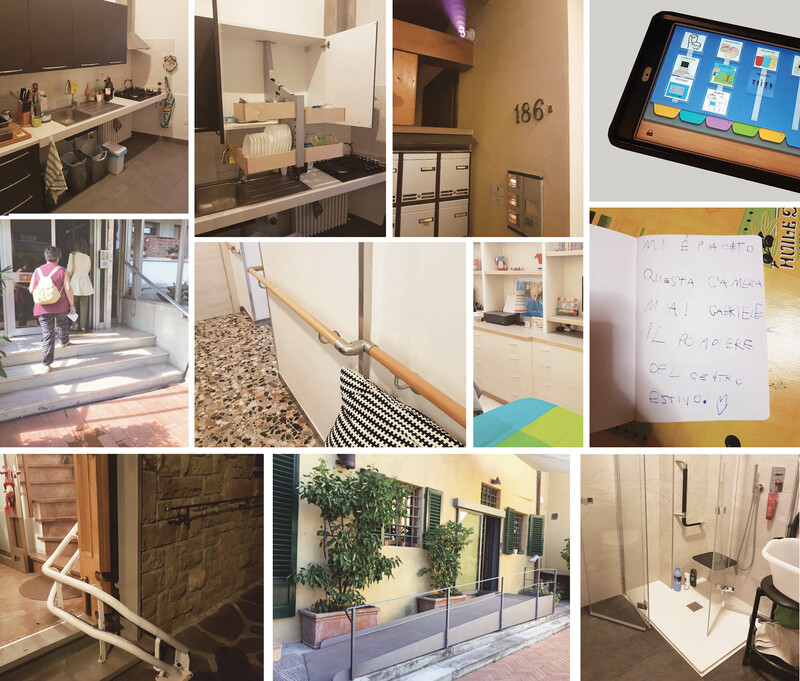 The ADA Project, a Multidisciplinary Strategy for the Adaptation of Disabled people’s Homes, Firenze: FUP, 2018.